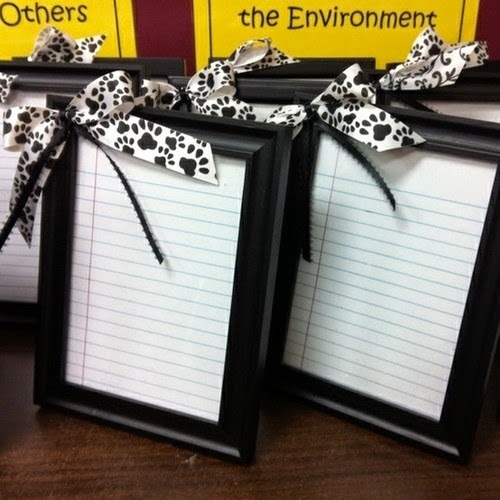 these would be so cute to sit on your favorite teacher's desk. They are dry erase boards. I couldn't find the original page they came from. I found them here on pinterest. 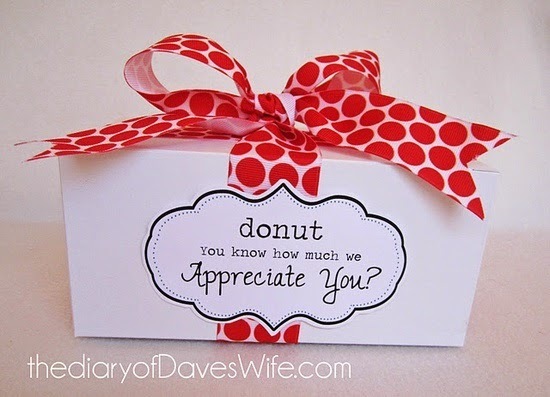 This little sang would be so cute with even a store bough box of donuts. There is a free printable here. 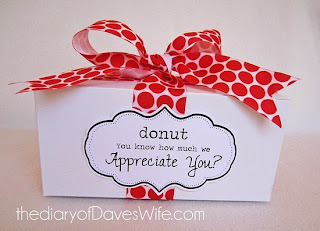 A container of strawberries or raspberries or blueberries, with a tag that says, "I couldn't have picked a better teacher"
A container or bag of nuts that say, "I'm nuts about you." A big pack of gum that says, "You are an extra special teacher, thanks for all you do!" For my kid's teachers I am going to fill a cup with kisses and hugs and then make some paper flowers with candy centers. I'll attach something that says, "Thank you for helping us grow throughout the year!" I'll have to post a picture when I get them done.